Mangoes are an imperfect fruit. Unlike the rest of the world, which is very used to seeing mangoes in all quality forms (the modern trend calls it “imperfect fruit”), Americans’ fruit cosmetic standards are very high and unrealistic. 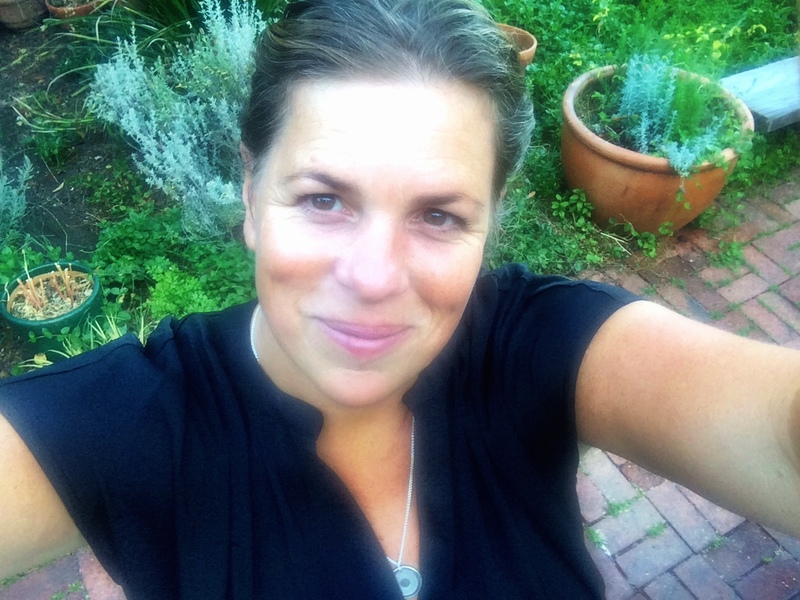 Not only does this insatiable appetite for perfection cause a significant amount of food waste at both the farm and retail levels, but it is absolutely unattainable and unprofitable for producers and seriously unsustainable for all. Instead of playing a key role in addressing and combatting the issue, the produce industry as a whole tends to perpetuate and exacerbate this problem. Personally, I believe that onthe more aware consumers are the better off the entire supply chain and food system is, from “seed to mouth” or in our case, “pit to mouth.” Giving consumers and industry folks real information is pivotal in product education. Sharing information and transparency are both keys to producer, product and category success, as well as consumer satisfaction. Flavor and product efficiency should be major indicators of a product’s success, not blemish-free skin. 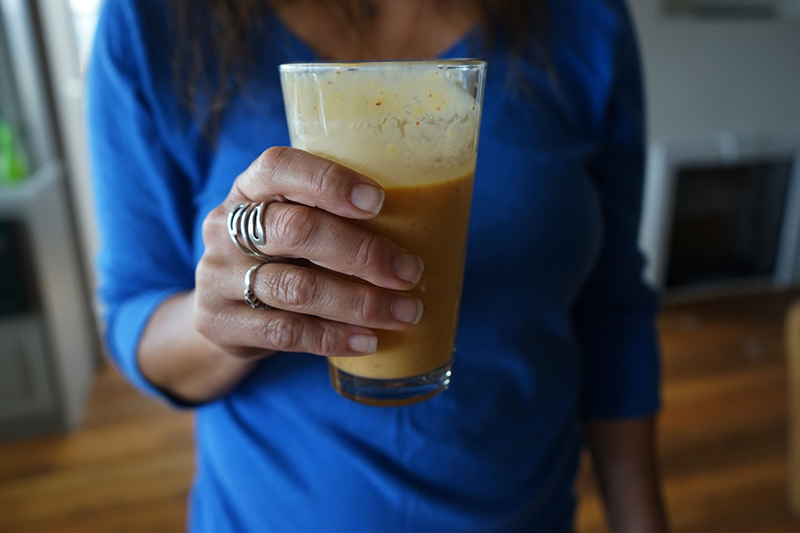 Imperfections differ from season to season, and we have to react to each accordingly. About 99% of all mangoes in the USA are imported, generally from one country and region at a time, so in terms of imperfections, they tend to be commodity, country and region-wide, and typically dictated by weather. 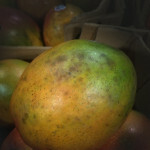 There are several degrees to a mango’s imperfectness; most defects go only skin deep, which does not affect the quality of the fruit nor the flesh flavor. 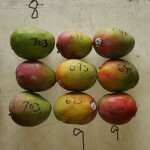 To understand the imperfections of the mango and the mango crop is to understand the rain and how it affects the fruit quality and yield. There is good rain and there is bad rain: not enough, just the right amount or way too much. Too little and the crop will be low-yielding, small in size and with an immature concentration of sugar, therefore posessing a bland flavor. Too much rain and disease and rot set in. The perfect amount of precipitation gives way to long-lasting, properly-maturing, flavorful and sweet fruit. 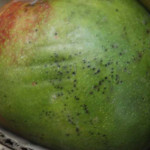 If you want to gauge mango quality, look to the rains of the region. Flawed on the outside, perfect and flavorful on the inside. 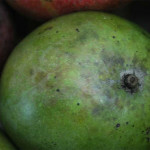 Here is the good, the bad and the ugly truth about mangoes and rain. Good rains make the fruit grow bigger at a nice and slow pace, allowing the fruit to have ample time to mature. Good rain achieves not only larger sizing but more of each size, higher yields. 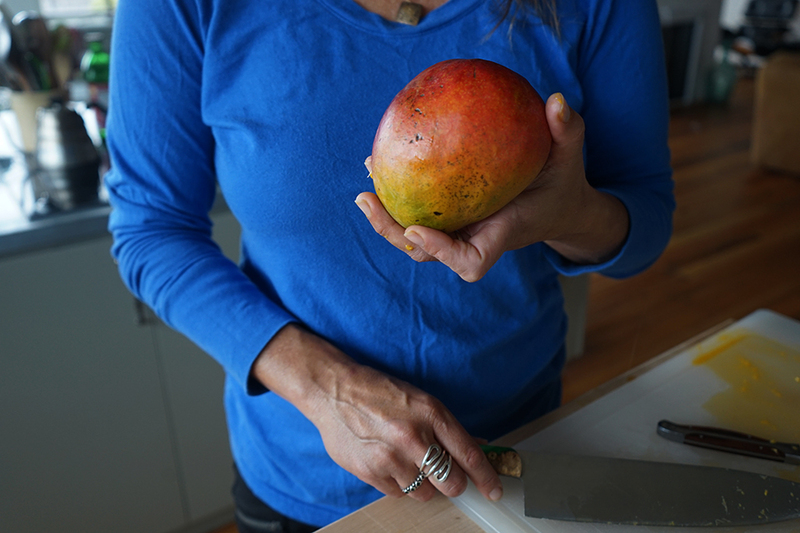 Bigger sizing equals more edible mango flesh, more bang for your buck! 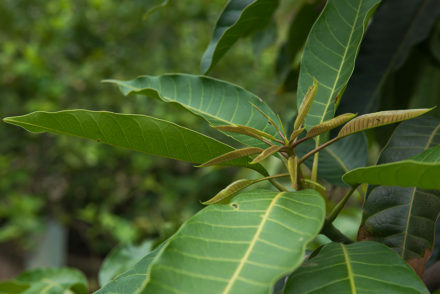 The right amount of rain helps the fruit mature properly at nature’s intended rate, providing abundant time for the fruit to move through the ripening phases. 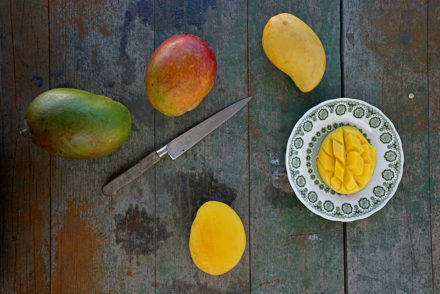 With the right amount of rain, mangoes will ripen to optimal flavor with ideal sugar concentration and flavor. Good rain makes a smooth and tough-skinned mango, perfect for protecting the flesh. 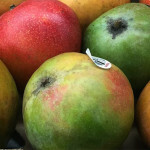 Tough skin mangoes tend to be free from most blemishes and nix. The fruit stays on the trees longer with good rain and the season will last longer. Good rain influences the juiciness and vibrancy of the mango. Good rain produces good, strong yields. 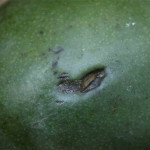 Bad rain causes thin skin, causing the mango to be more susceptible to bruising, scuffs and/or scratches. Discoloration and black spots occur with too much rain at the wrong time. Too much rain can seep into the fruit at the stem and cause internal rot and a poor pulp/water balance. Too little rain makes for small sizing and low yields. Severe, prolonged rains can cause and accelerate Anthracnose. Fruit flies love to breed and thrive in heavy rains; an orchard with fruit flies (or their larvae) problems will close for export entirely. 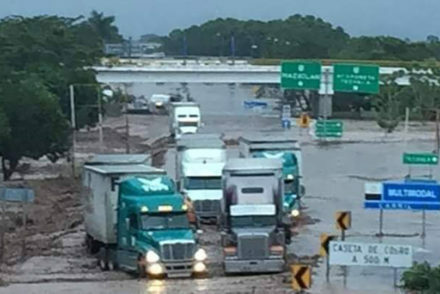 Heavy rains delay harvest, pickers cannot operate in the mud so they have to wait until it is dry to pick, causing holes in the supply programs. It’s important to remember: it’s what’s on the inside that counts! 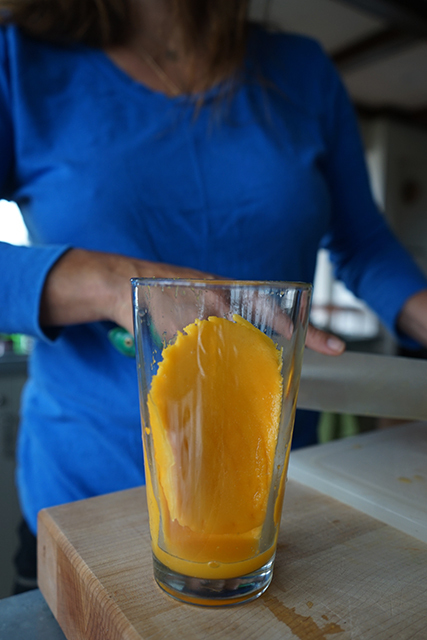 We enjoy a mango no less because of its blemished skin, it’s whats on the inside that counts! 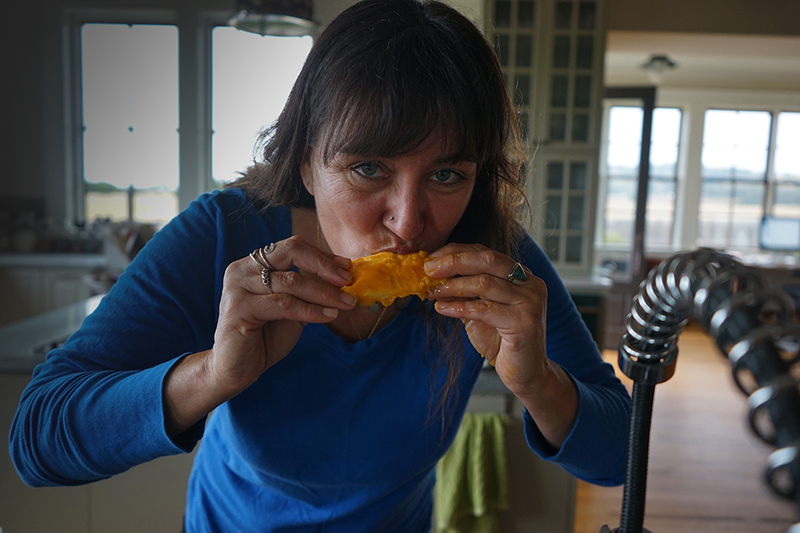 Regardless of the look of the skin, if the mango’s flesh is vibrant and flavorful, then you will enjoy it all the same!